By Jake Rocheleau in UI/UX. Updated on November 26, 2017 . There’s no denying that Sketch has caught on like wildfire. It’s a lot cheaper than all the Adobe software, plus it was made specifically for digital design, making it the perfect choice for mobile & web designers. If you’re brand new to Sketch then you’ll love Sketch App Sources. It’s a completely free resource website full of Sketch tutorials, freebies, plugins, and even a job board. The freebies are some of the best quality anywhere online and they’re guaranteed to please. You can find complete GUI kits for web & mobile, along with icon sets, loaders, logos, buttons, and even templates for related design assets such as online resumes. Every file comes as a .sketch freebie that you can edit and restyle for your own needs. Most are hosted externally on blogs or sites like Dribbble. But, many freebies are submitted directly by readers, so the library is constantly growing. You’ll find a whole lot more on this site beyond just freebies. They have a complete keyboard shortcuts list that you can save as a reference guide. This makes it easy to learn Sketch shortcuts with a huge cheatsheet right online. 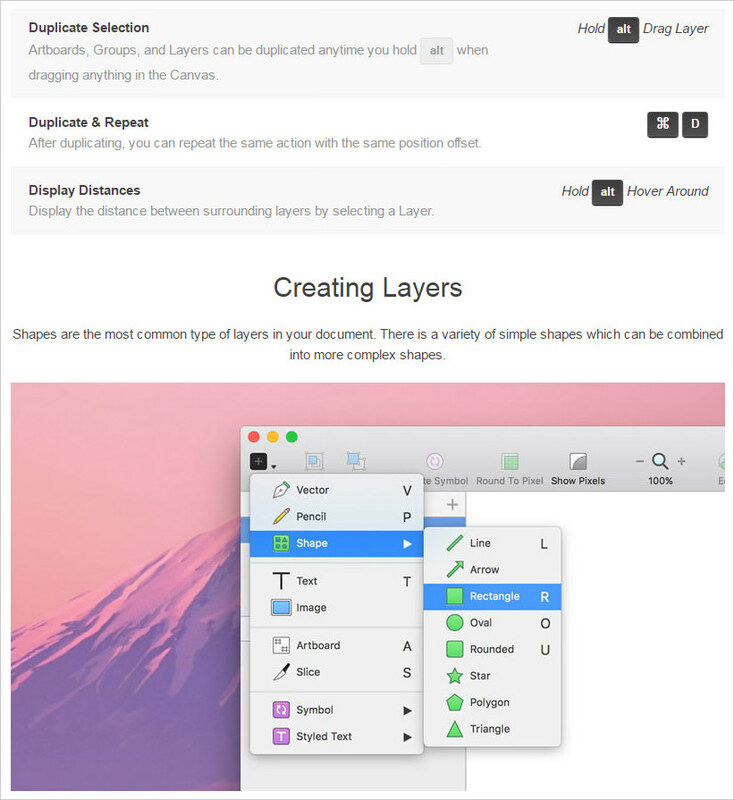 And, Sketch App Sources is not the only site online covering Sketch. There are dozens of others, all listed on the community page. But, I do feel strongly that Sketch App Sources is currently the best of the bunch. It offers a little bit of everything with a heavy slant towards freebies. It’s really a haven for all Sketch users regardless of experience level. Take a peek at the site and see what you think. The freebies library is currently at 2,700 resources with new ones added weekly.